There is a new standard of aged care with preparation underway for the opening of Churches of Christ in Queensland’s newest integrated community on the Sunshine Coast in early 2019, where every resident feels comfortable, safe, valued and part of a place they belong. The campus at Little Mountain features a 96-bed residential aged care service, café, multi-purpose community centre, aquatic centre and social spaces, which will provide local groups, residents and families with an enhanced community lifestyle. Churches of Christ Queensland Executive Director of services, Bryan Mason says the campus’ design philosophy is focussed on creating connections. 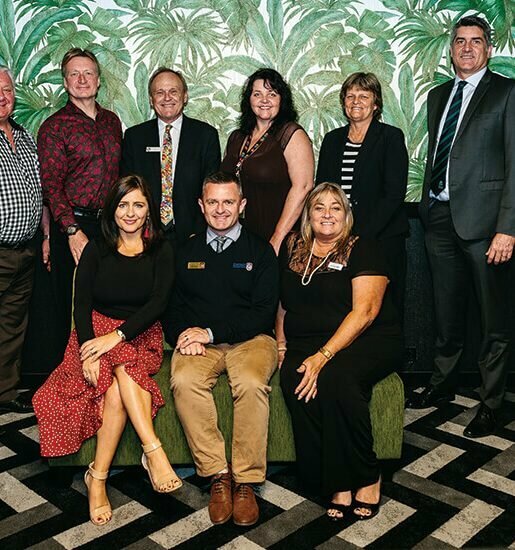 “The community facilities aim to bring together families and provide generational connections that achieve social benefits and cohesion for both the residents and the broader community,” he says. With a growing need for aged care facilities in the region, the Sunshine Coast continues to be an attractive location for retirees, with an estimated 35 per cent of the total population aged over 65 years by 2031. “Our aged care service seeks to meet the needs of residents by promoting a healthier lifestyle with 24-hour tailored care and lifestyle program with access to state-of-the-art seniors’ rehabilitation gym onsite,” says Bryan. Bryan says the service features the cottage model-of-care, with each 16-room cottage set up as a warm, home-like environment that promotes independence. Residents have their own room and private ensuite with dining, lounge and sitting areas in each cottage. All residents share the outdoor facilities including barbeque and dining areas, a bocce court and resident gardens for those with a green thumb. “The cottage model enables residents to live in a cosy environment, where they share life with their neighbours in a community setting,” he says. At Churches of Christ Care, they use their Positive Wellbeing Model of Care to promote health and wellbeing and focus on bringing quality of life to residents. “Our aim is for every resident to feel comfortable and safe, feel valued, have meaningful things to do, feel they belong, and have opportunities to be sociable. Our approach to positive wellbeing is not about managing decline but living life to the full,” says Bryan. The campus’ integrated community approach gives locals access to a café, hair salon, swimming pools for formal programs and social spaces, all within landscaped grounds. “The community centre on campus has long been desired by the local community,” says Bryan. At Churches of Christ their mission and their passion is to bring the light of Christ into communities. They strive to help every person in their care experience quality of life – this is at the heart of all they do. A Community Open Day will be held on 9 February at 211 Parklands Boulevard, Little Mountain. Why not come and take a look around at what this magnificent campus will deliver?